With the first powder turns of the year made this week, I can’t help to wonder if the bike season in Golden is truly over. Only in the last few days has the transition from fall to winter started to happen. While the snowpack in the alpine has started to provide some excellent skiing, the trails in the valley remained in great shape. Spring and Fall are my two favourite seasons around here when I can ski, bike, and kayak all in the same day. 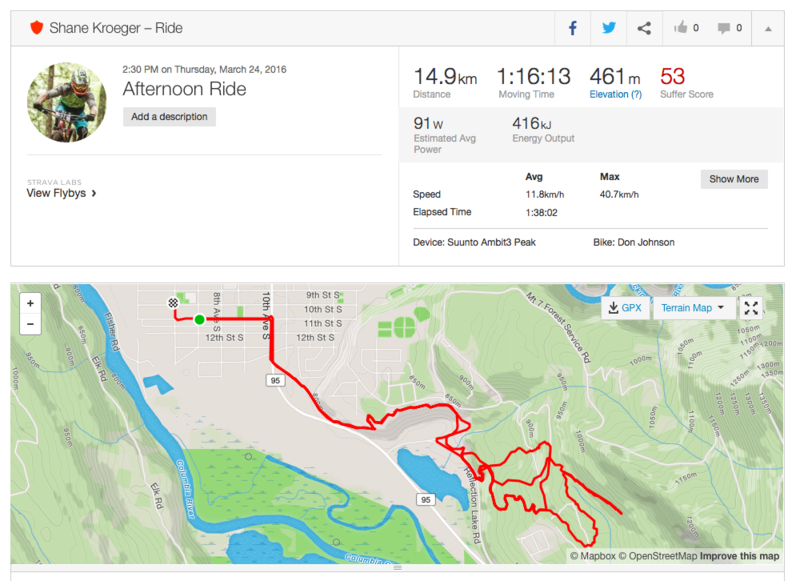 Looking back to the spring, my first ride on the trails in Golden this year was on March 24 and my latest ride on November 21 making makes for an eight-month mountain bike season! It was an action-packed season of bike riding for me. My summer was spent travelling around Western Canada and the US, racing in several different events including the BC Enduro Series, the Canadian National Enduro Championship, Enduro World Series, Single Track 6, and the Trans Cascadia. There were numerous highlights to the season, but my favourites were the times when I had the opportunity to race on the home trails. 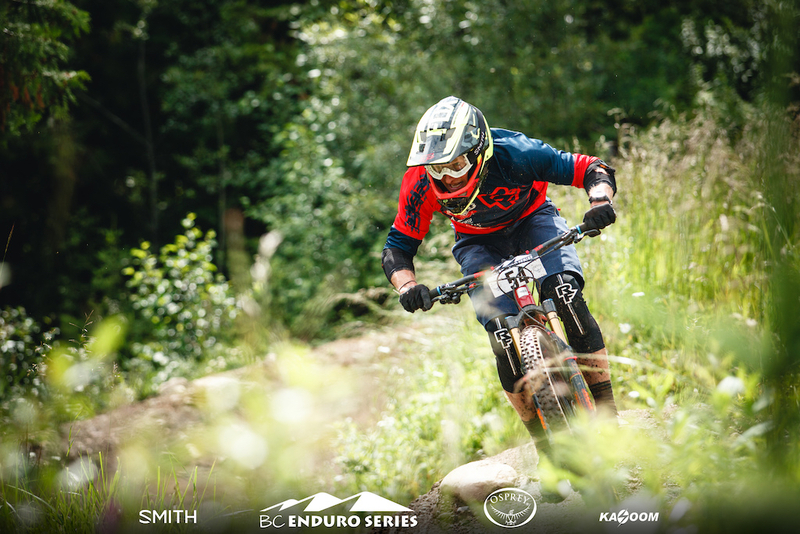 Both the BC Enduro Series and the Single Track 6 returned to Golden in 2016, and covered a wide variety of the 129km of cross country trails. The town is filled with passionate bikers of all ages and it was great to have familiar faces cheering us on during these events. 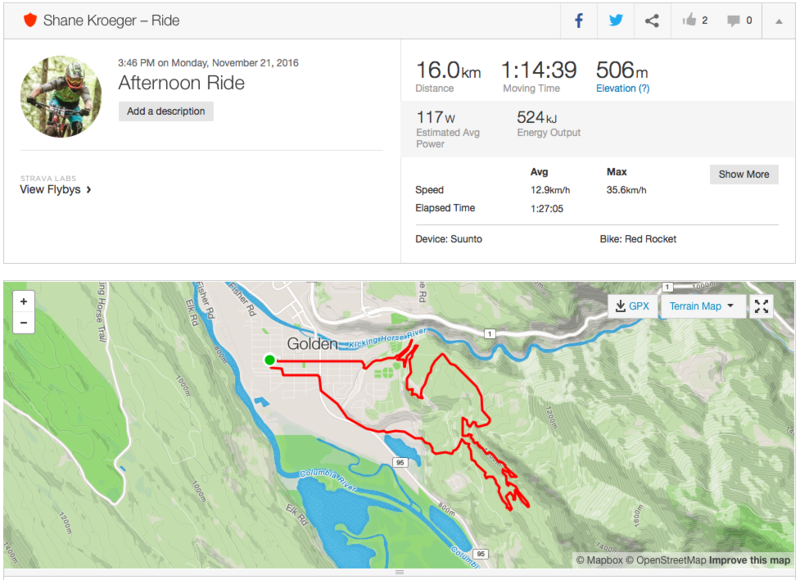 Thank you everyone for all of the support and the Golden Cycling Club and their volunteers for keeping the Moonraker and Mountain Shadows trail networks in amazing shape all season long. As the bike season tapers away and I start to spend my days on snow, I am still busy planning for next years bike season. I recently received the good news that I will be racing the Trans Provence in southern France next summer. Combining this race with more of the Enduro World Series events will be my primary focus next year and with just six months before the first race, I am already looking forward to my first spring ride in the Golden. 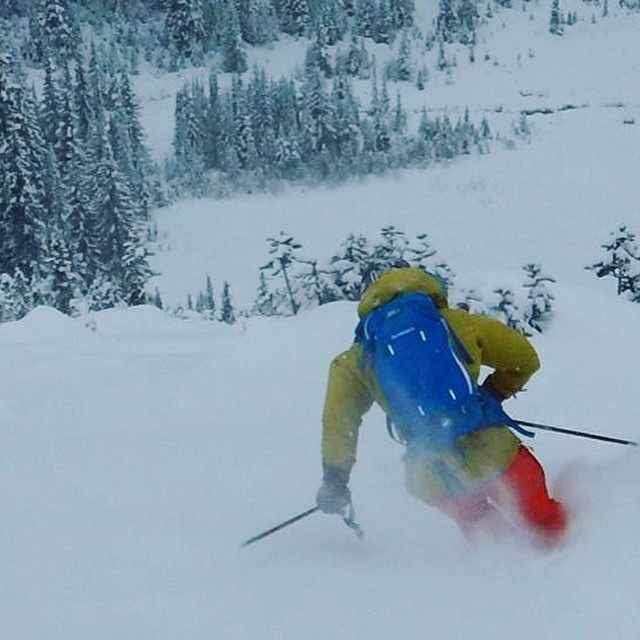 Until then happy powder days!